Google’s event in San Francisco on July 24 seems to be just around the corner, and as the highly anticipated date approaches, leaks and rumors seem to have increased manifold. 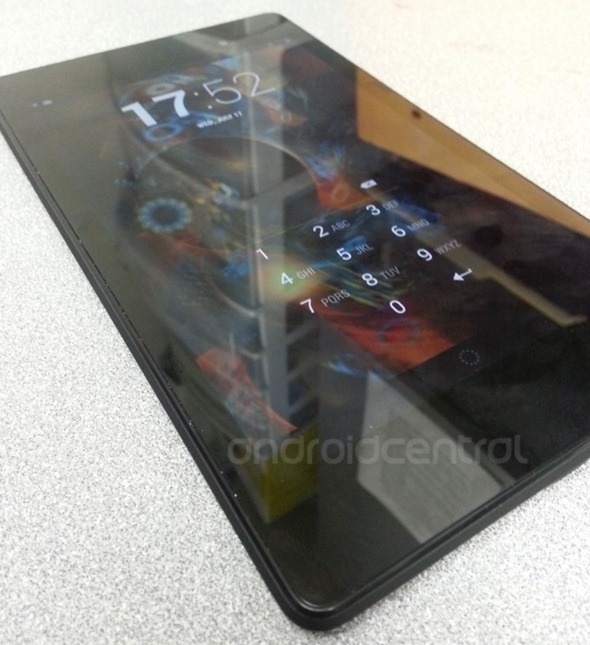 Now, thanks to Android Central, we’re seeing what might be some leaked photos of the new 7 tablet in the Nexus line up. Thanks to an anonymous source, the shots are pretty high-quality, and reveal quite a lot of information from several angles. For one, it seems that the tablet is still manufactured by ASUS, and would be running Android 4.3 (but that was a no brainer). Two different versions, carrying 16GB and 32GB of storage, are expected, and might be coming in Wi-Fi as well as data connectivity options. The build is being labeled as ME571K_PR1_SKU2, as seen in the images. While the screen size remains the same old 7-inch, an additional camera is being added to the back for some casual photography. Front contains a 1.2 megapixel shooter manufactured by LITEONMOBILE, and there’s, of course, a 3.5mm earphone/headphone/speaker jack. 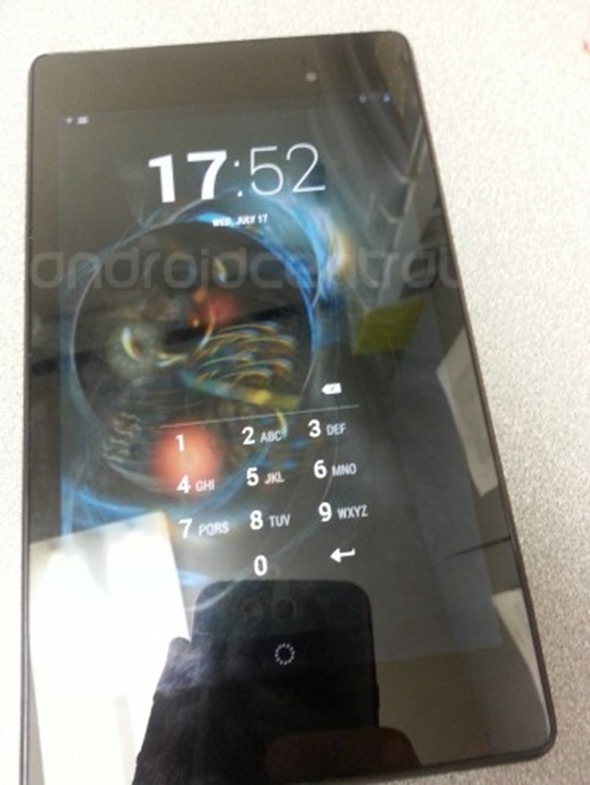 On the innards, the tablet seems to be powered by a Snapdragon S4 Pro processor, and possibly 4 gigabytes of DDR3 RAM. If this is correct, and topped off with Android 4.3, you can pretty much say goodbye to any lag or performance issues whatsoever, thanks to the immensely powerful hardware. There’s also the standard micro USB port, as well as power and volume buttons. 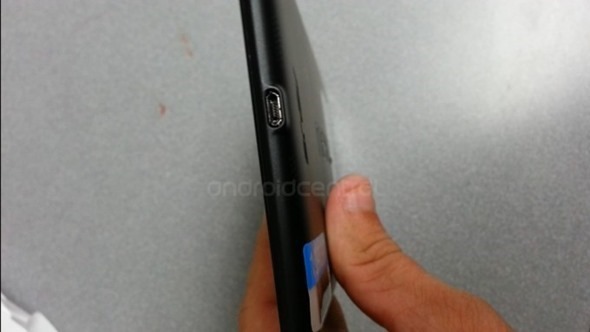 One final addition that has been observed is the addition of one more speaker, making the allegedly new Nexus 7 a dual speaker device, in stark comparison to its predecessor. Leaks like this are abundant as the launch event of any new device approaches, and more often than not, we’ve seen that it’s mostly a prototype that gets leaked and not the final product. 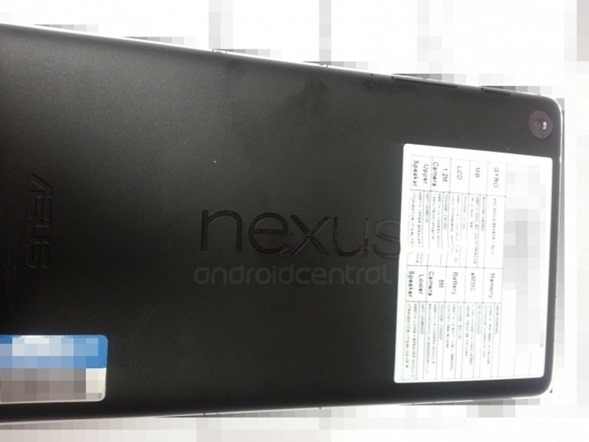 However, taking into account the recent leak of Android 4.3 itself for Nexus 4, it’s highly likely that we might be seeing something different. That said, do remember that all the information provided herein is unofficial, unconfirmed, and more than likely to be false. Hence, while you may get all excited over what Google might be unveiling this coming Wednesday, don’t get your hopes up too high – for your own good. According to a report published yesterday, the Nexus 7 2 price will start from the $229 point, which is 20 dollars expensive than the current generation Nexus 7, the base model that is. We’ll leave the pricing bit for Google to reveal itself at their Android event. (Source: AndroidCentral) Thanks, Brett for the hat tip!